Julian Wilcox was the most familiar face and voice of the Māori Television Service for the channel’s first 10 years. 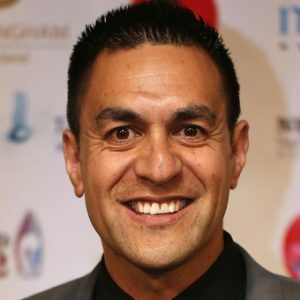 He has now stepped back from front-line broadcasting and is lending Ngāi Tahu a hand as their communications manager. Here he explains his approach to te reo Māori. More than 100 years ago, Mark Twain came up with the observation that you need only ignorance and confidence to succeed in life. And that, more or less, has been my formula in learning te reo Māori – having no idea what I was doing, but giving it a crack anyway. I suspect that, for many second language learners, giving it a crack is fraught with fear because, you’re afraid of what might happen if you say something wrong. It’s even worse for those tāne Māori who wanna be a Wharehuia Milroy after their first day in class. The problem is we tend to ridicule rather than recognise someone who is giving it a go. So I can understand the inclination to clam-up. Also, we tend not to embrace people who appear to be overly self-assured. That can, as I know from experience, result in a language journey that is a seriously tough grind. But there’s really nothing wrong with being wrong. And there’s no shame in others knowing that we’ve stuffed up. Voltaire, a French writer, had some views on that issue long before Mark Twain was dispensing his wisdom. Voltaire said (in French I suspect) that “we are all formed of frailty and error”. So he urged us “to pardon reciprocally each other’s folly.” In fact, he said that’s “the first law of nature”. I remember my first year learning te reo, in the third form at Te Aute College, with our teacher Enoka Munro. Enoka was a great story teller, who could split an apple with his thumb, hand out daily detentions like they were lollies and could deviate from the daily learning plan on a whim to regale us with how massive the eels were at Whakakī not far from Wairoa. He was also my first real teacher of te reo. And I wanted to impress him. After our first written te reo test, three of us were the top of the class. Lance Wesche, Eden Whaanga (now Te Amorangi Kireka-Whaanga, the head of the Aotearoa Māori Muslim Association) and me. By chance, in that class, we sat in alphabetical order, so Lance, Eden and I were grouped together near one side of the room. The rest of the class smelled a rat because of our good marks. And deservedly so because Lance was pretty clever, Eden was a good reader – and my peripheral vision was second to none. I could sense that our classmates were building up to a flood of accusations about our reo racket, so I took a gamble. I decided that I could confirm and display my impeccable te reo credentials by choosing to utter my next sentence entirely in Māori. You could have heard a pin drop. I assumed this was due to my exquisite pronunciation and superlative sentence structure, the likes of which Māoridom had never seen nor heard before. Unfortunately, the grin on Enoka’s face, followed by his booming laugh, indicated that my announcement may possibly have had a defect. The sad reality was that, despite my Te Rangatahi research, and despite my care with the grammar, I hadn’t announced that I was off to the toilet. Instead, I was saying: I am a toilet. Through the years, I may have taken that advice a little too seriously. I would frequently, yet unconsciously, blaze a reo trail rife with new words and new pronunciations that couldn’t help but baffle both me and the listener. Even today, there are unkind folk who say (and believe) that’s still the case. But I’ve stuck to my commitment and I’ve kept trying to build and use my language arsenal – new vocabulary, structures, aphorisms, colloquial phrases, and various elements from different dialects. Anything, in fact, that I’ve been lucky enough to find within my reach. Along the way, I’ve kept speaking as much as I could, for as long as I could – but never setting out to be God’s gift to te reo Māori. I’ve also welcomed the positive feedback and the criticisms whenever anyone cared enough to comment. And I’ve clung to my conviction that this is the most beautiful language in the world – and that I must make it mine. Unfortunately, that has led to an assortment of wharepaku moments. For instance, I’ve had trouble with balls – mixing up my golf pōro and my own pōro, and doing so in public, all because of an incorrect possessive pronoun. I’ve also tried slapping a couple of interesting passive endings on verbs and imperatives where they don’t belong. And, possibly like many reo learners before me, I’ve indulged in some gender reassignment surgery on my in-laws and made a hungawai out of a hungarei – and vice versa. But the mistakes don’t matter because the goal never changes. It’s to keep making progress. Henare Kingi, the legendary Māori radio broadcaster gave me one piece of advice. It was “Whakaiti. Whakaiti. 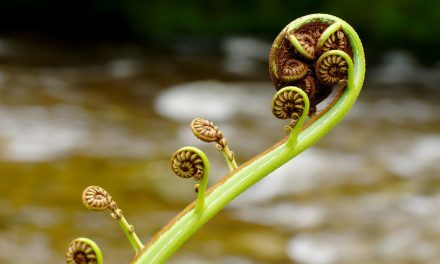 Whakaiti.” My interpretation is that “through humility comes humanity.” The nuts and bolts of that mean we’ll all make mistakes learning te reo. So we just have to embrace that. Have the humanity to expect it. Have the humility to accept it. And have the confidence to learn from it. Julian, your story has made me laugh & reawakened a passion to learn my reo as my parents & grandparents did. I would love to go to Waikato Institute of Technology to learn as our daughter did two years of the course there a couple of decades ago. Thanks for inspiring me! Tõ kaha hoki ki te whakanui tõ tātou reo Māori e hoa. Mauri ora kia koe. And look who you inspire! Like the guy who followed you into the bank. 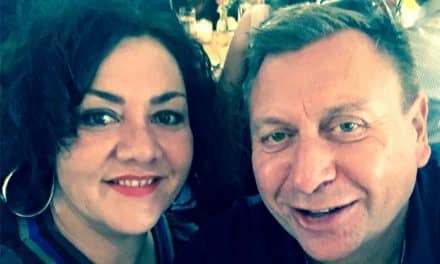 Glad you weren’t going to the pub… or wharepaku 😉 Great blog! Tena koe Julian. Very inspiring and encouraging. Loved it. Thank you. Kia ora ra kia koe ehoa, Mauriora! Today even, I fear making a mistake, and it’s more myself than anyone else judging me, I become my own blockade. Nearly 50, and after so many goes at it, I’ve finally entered the realm again. Thank you for the article, it truly is inspiring. your very gifted Indeed, Julian. Articulate and passionate in both languages. Ngati Tahi is lucky to have you in their team. He mihi nunui taku ki a koe e ta…. He reka ki te taringa.. Tena koe.. Mauriora mai ra a e.. Grew up with my Kuia and Koro no pakeha language till I went to school. Lived around my marae Parihaka. Pakeha features myself. Called by many karaua people “e moko pakeha”. Now struggle with my Reo. Usually declaring kare Au e Mohio te Korero Maori. Very sad have lost my Reo. Was never encouraged 50 60s. Your article is inspirational Julian. I am currently completing Te Tohu Paetahi at Waikato uni. Thank goodness for realists like you who help correct the tendency for us as Maori to mock each other when we mangle things. You’ve given me confidence. Mauriora! Tena koe e Julian mo o whakaaro. Yes i feel we are always learning and discovering that the language Te Reo Maori is changing all the time. It’s great to see a great speaker like yourself is very passionate in speaking te mita o te reo and by all means carry on servant. 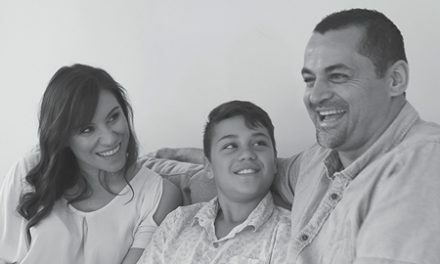 You are an inspiration to us all….nga manaakitanga ki a koe. What an amazing story. I’ve always admired your manner both on and off the screen, in sad and happy occasions. We so need more like you supporting and encouraging others to learn and use our beautiful language. Like Evelyn my inspiration was another beautiful Northern whanaunga – Pepi Walker who would encourage those of us in positions that had the ability to challenge the decision makers to change how they positioned the Reo and would always, using her stunning “Matawaia influence” make us do things to tautoko te reo. Miss her heaps. What a truly inspirational article Julian. The heading alone is advice I have always given to anyone learning anything new. The experimenting you did while learning is of course still learning. I could feel your passion. Mauriora. Āe e whaea, tēnā koe! Āe e whaea, he huka ahau!! I’ve studied languages for most of my life. There is something aside from a set of linguistics that it is imparted with te reo to its speaker. It’s a deep understanding, and a first hand view of ngā tikanga o ngā tūpuna me te ao Māori(the customs of our ancestors and culture). A truly masterful language for a Rangatira people. I would implore Māori, all Māori people to take up our reo, preserve it for your progeny – it is truly a taonga to be upheld. 11 years ago My partner and I were walking down the main street in Hamilton we were following this māori fulla I was honestly blown away listening to him speaking our Reo on his mobile. I was a freshy from Auckland who had just moved to Hamilton. I only heard our Reo being spoken on our marae or kohanga. Because of the world I lived and worked in it was hardly spoken or heard. It so happens he walked into the same bank I was going I stood not far and just listened and that was a changing moment in my life I decided to go back to kura and learn our Reo and it has been an amazing beautiful humbling journey. Nō reira he nui te mihi atu kia koe Julian it was you we followed that day. Wow…what a beautiful story about you deciding to go back to kura because you heard someone speaking te reo and on top of that it was Julian! Miharo katoa te pānui i te kōrero nei! Loved the motivation and the inspiration you drive for me. Ngaua te paepae hamuti e hika…in the true warrior styles that you are. 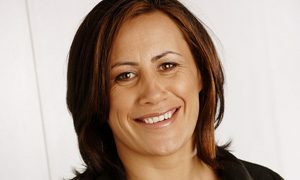 Ive fielded a few comments of negativity about you too ..In true Te Aute brotherhood fashion (in all humility) Ive delved deeper to see where the real problems were with this vibrant, young, committed and proud speaker of our Reo. Most times i found the underlying common denominator was “harawene” – jealousy Julian. and this was from many fluent speakers too bloody lazy to upgrade. I humbly closed down 2nd language speakers and suggested they adopt you as their role model. He toi whakairo he mana tangata..Mauriora !